With this tool you can directly notify Google, Ask.com and Bing (Live.com) about your new or updated sitemap file. At this moment XML sitemap support Google, Yahoo!, Ask.com and Bing (Live.com). 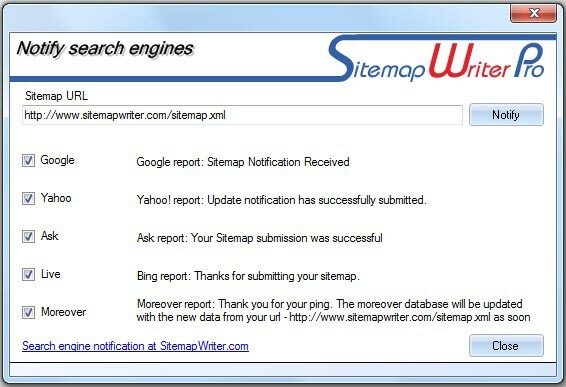 Sitemap Writer Pro has an integrated search engines notification tool ("Tools" menu - " Notification").